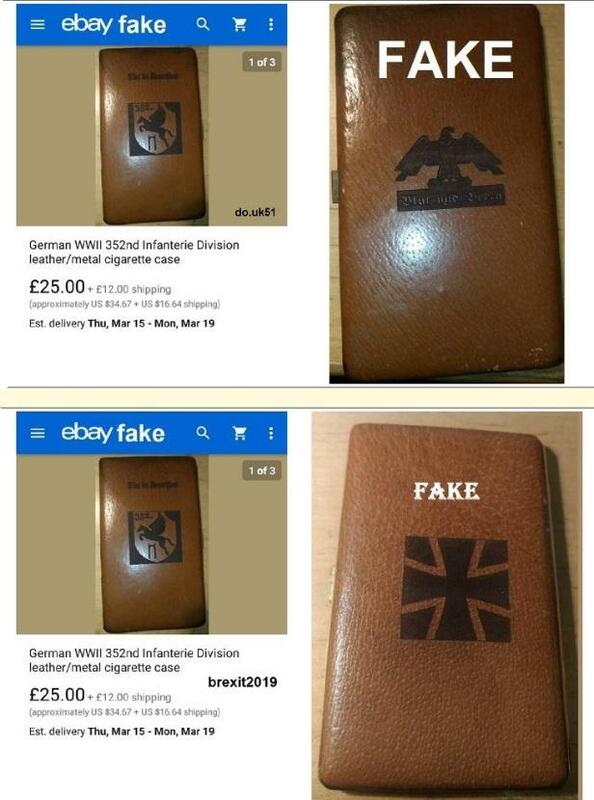 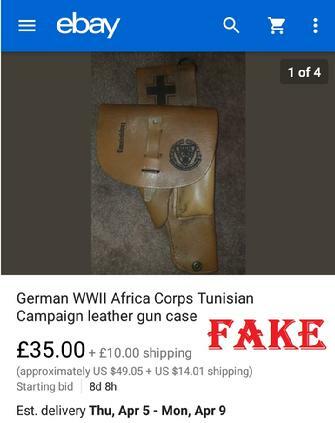 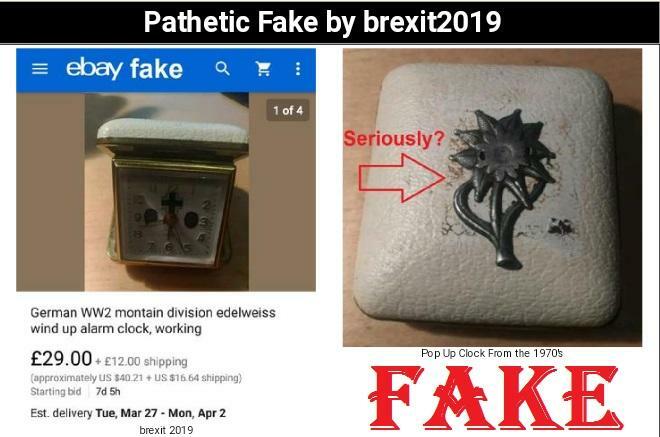 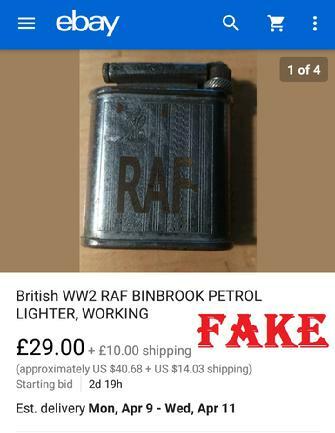 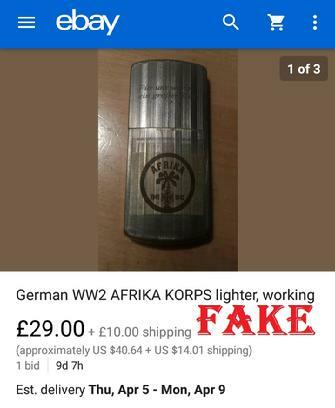 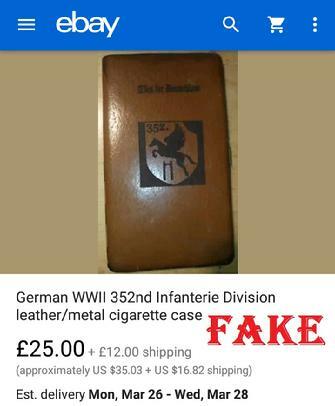 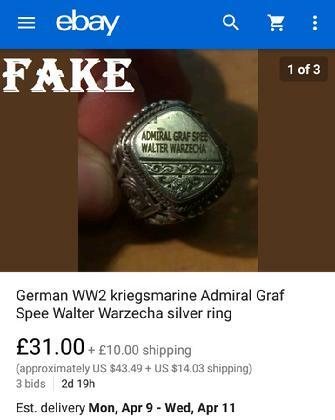 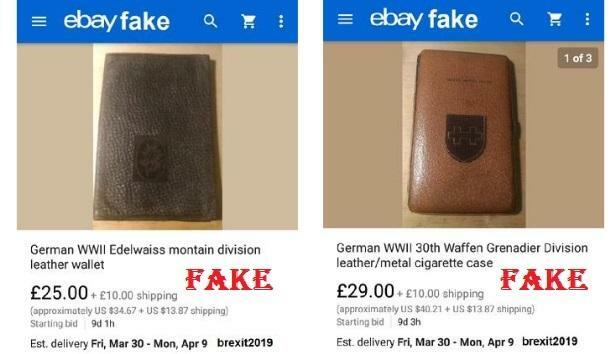 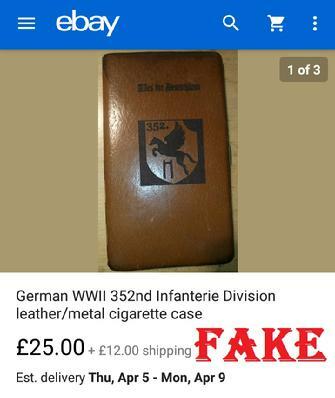 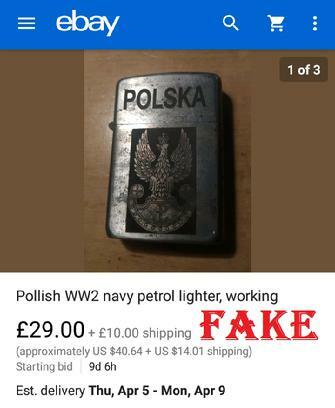 Scammer brexit2019 has some of the worst fakes I’ve ever seen on eBay by far; most look like he made them in his kitchen. 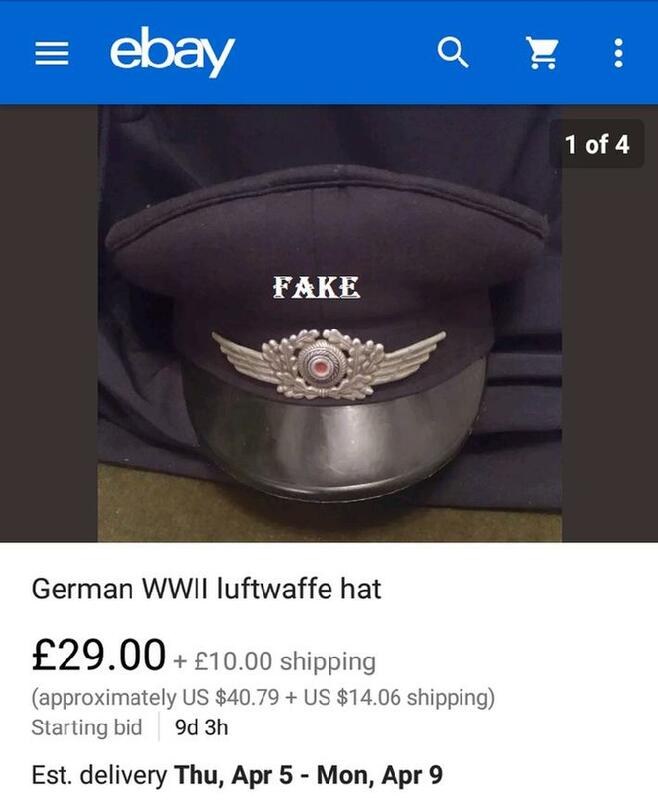 He also has a wide variety of forgeries. 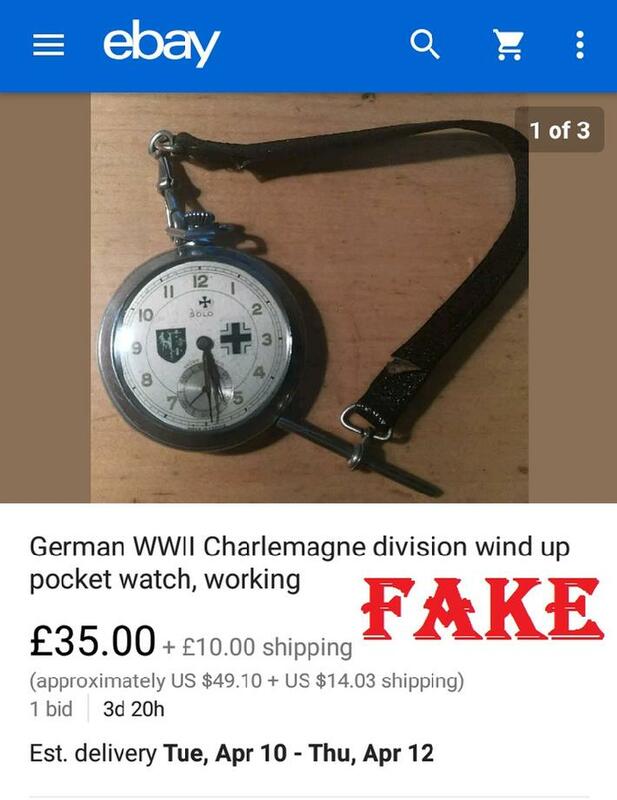 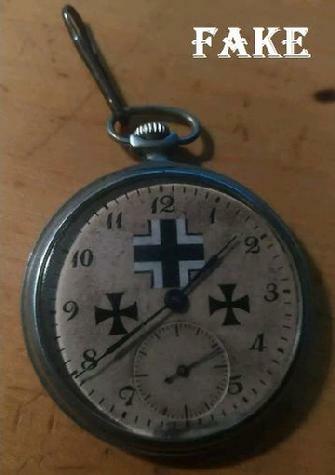 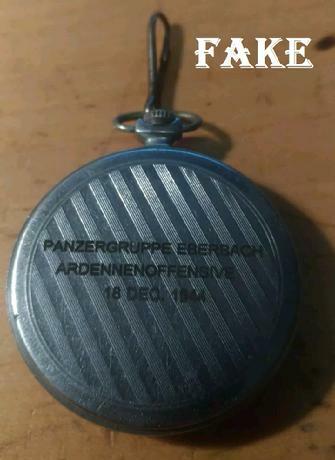 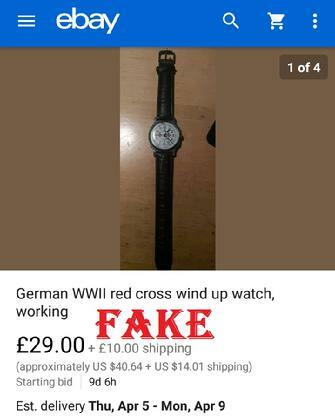 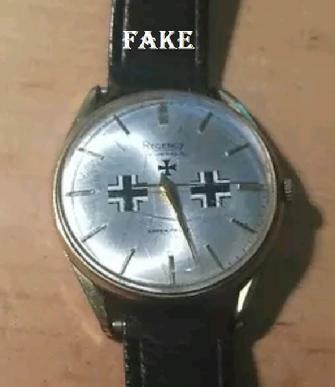 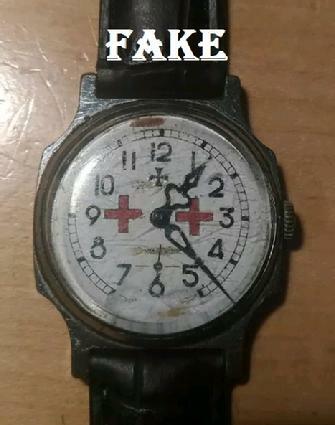 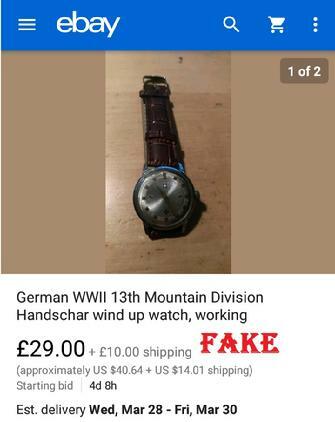 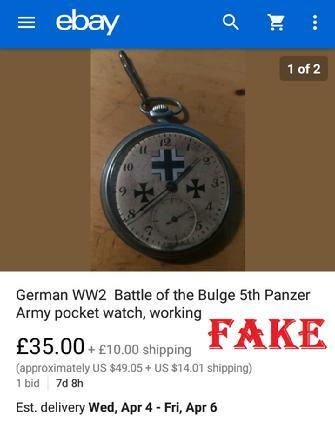 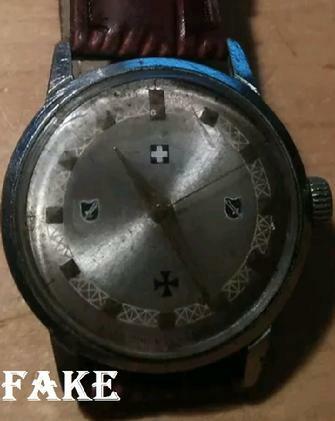 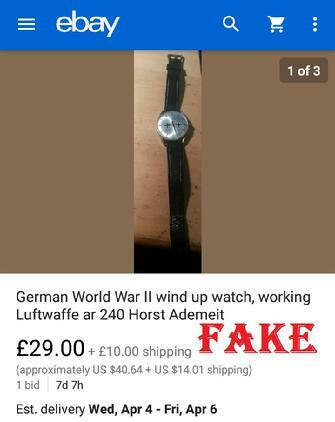 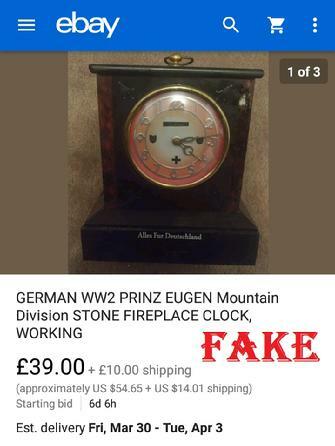 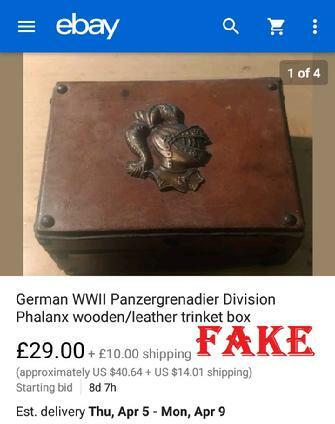 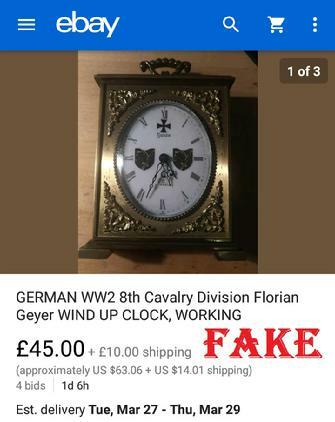 These clocks and watches being sold as WW2 relics are just old pieces he has placed German WW2 stickers on. 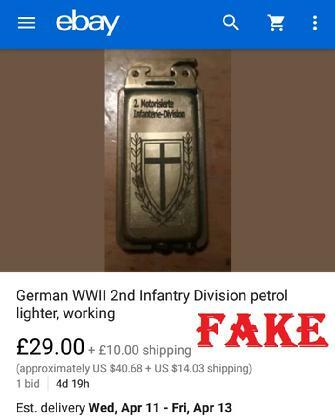 You can buy these stickers in quantity for model building for very little. 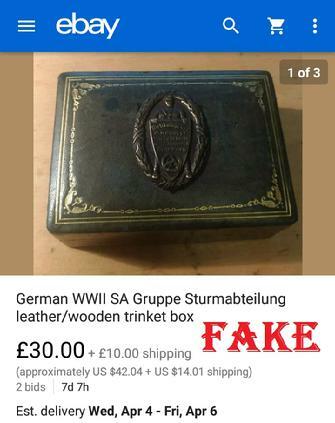 The leather pieces are obviously hand tooled by the seller himself. 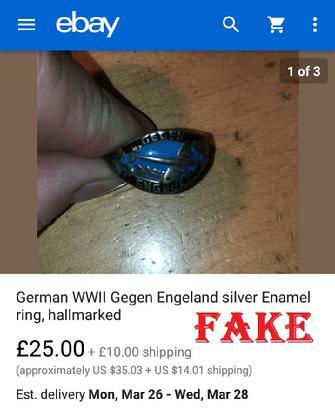 It’s hard to believe people actually bid on the garbage; you could make this junk yourself for a lot less money. 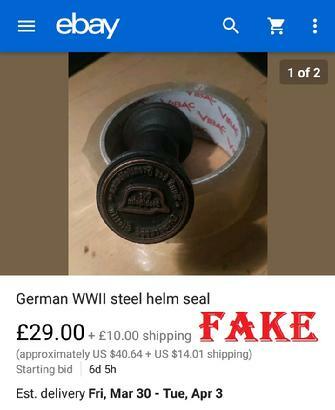 I'll even give you a link to a site that sells them.